At Acme Canine we make it a point to try new dog products. Some work out so well, we stock them in our Woofie Shop in Lewis Center. These have been highlighted in red. Nylabones – although it takes dogs a little time to get to like these, nylabones are great for moderate to heavy chewers. They don’t splinter and unlike natural bone, you can clean them in the dishwasher. They come in a variety of flavors from meaty pizza, filet mignon, Philly cheesesteak, and even but we prefer the unflavored since we don’t want to encourage begging. Kong – no list would be complete without this classic rubber dog toy. Not for every dog but definitely a versatile toy. You can throw it, bounce it and pack it full of treats. Green Interactive Feeder– we really like problem solving feeders over putting kibble in a bowl. This one in particular is easy to use and easy to clean as well as durable. Which is why we put it on our list. Puddle and Pile – this phone app was created to help with puppy housetraining and it really does a good job of letting the owner know when to take your dog out. You still need to set boundaries and supervise your dog but it takes a lot of the guess work out of how often to take them out. Washn’Zip Pet Beds – we have tested this bed for over 3 years and washed it several times. The unique design of folded material zipped into a dog bed which makes its own cushion is very versatile. From car seat cover, pet bed, furniture throw…this product allows you to wash it easily no matter how you use it. Gordon MacIntyre Lathering Cleanser – we like how this shampoo created by two Ohio veterinary dermatologists cleans and holds a scent on the dog. In fact, it is the only product we use for bathing dogs at Acme. Zoom Groom -We like this rubber grooming tool for brushing short haired dogs since the rubber acts like a magnet to the loose har. In addition, we use it when bathing dogs no matter what hair length since it stimulates the skin better than our fingers and gets down in the undercoat so the dog comes out cleaner. Uncle Pawlies all natural dog treats – with no artificial colors or preservatives and quality products, it’s a no brainer that we choose this Ohio product company for our list. Dogs love the flavors and owners can feel good about giving these treats. Our favorite is the one with blueberry in it. Dog-Tricks-Eighty-Eight-Challenging-World-Class – If you are interested in teaching your dog tricks this tried and true classic from Captain Haggherty himself should be in your library. From the simple give me your paw to the more challenging jumping rope to the more useful telephone-answering-machine trick, you’ll learn the steps to engaged your dog while having fun doing it. Orbee-Tuff® Interactive toys – engaging, rewarding, and fun! They offer hours of long-lasting, brain-stimulating entertainment for dogs of any size. In addition to being extremely durable, buoyant, and bouncey, these dog toys made by Planet Dog have one of the BEST guarantees. Every product is 100% guaranteed. This means If it is chewed, return it. If it is destroyed, return it. If you are not 100% satisfied for any reason, simply contact their Customer Service team and they will replace your product, find a better product for your dog or refund/credit you. Any time. Every time. 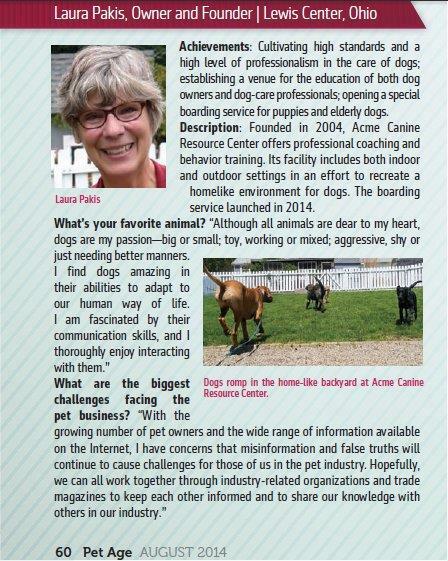 For more information, contact your favorite Columbus dog training facility at 740-548-1717 or dogs@acmecanine.com. 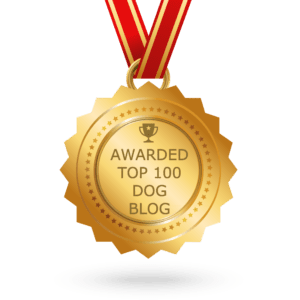 This entry was posted in Dog Product Reviews and tagged #Orbee Tuff, #puddleandpile, #WashNZip, Captain Haggherty, dog tricks, Gordon MacIntyre, Green Interactive Feeder, Kong, Nylabone, orbee tuff toys, Puddle and Pile, Uncle Pawlies dog treats, Washn'Zip Pet Beds, Zoom Groom. Bookmark the permalink.